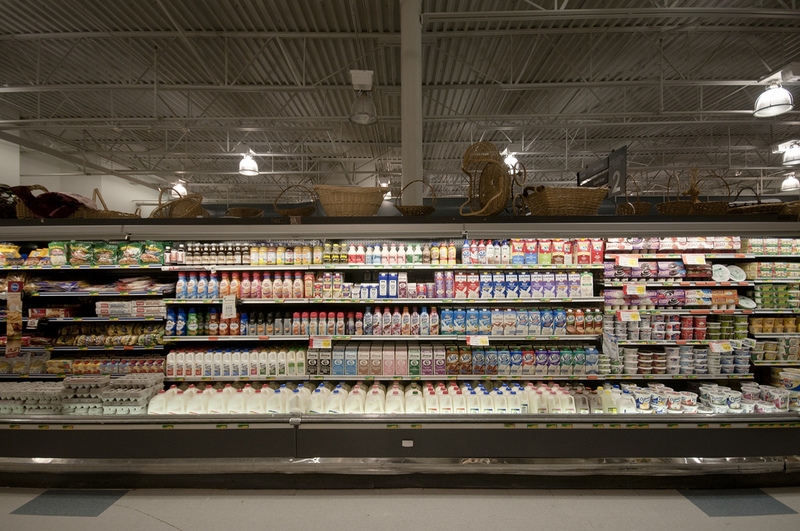 The myth of a city without supermarkets is hard to kill, even faced with the evidence above. Ultimately, that myth perseveres because the mainstream media and its audience is steeped in a suburban mentality where the only grocery stores that really seem to count are those large, big-box chain stores that are the only option in so many communities these days, largely because they have put locally-owned and independent stores like the ones you find in Detroit out of business. It is true that the big chain stores have forsaken or ignored Detroit, for any number of understandable (and sometimes despicable) reasons. But in their absence, a diverse system of food options has risen to take their place, and the tired old narrative that Detroit has nowhere to shop for groceries needs to be replaced by a more complex truth: with a diversity of options ranging from the dismal to the sublime, Detroit may be one of the most interesting places in America to shop for food. 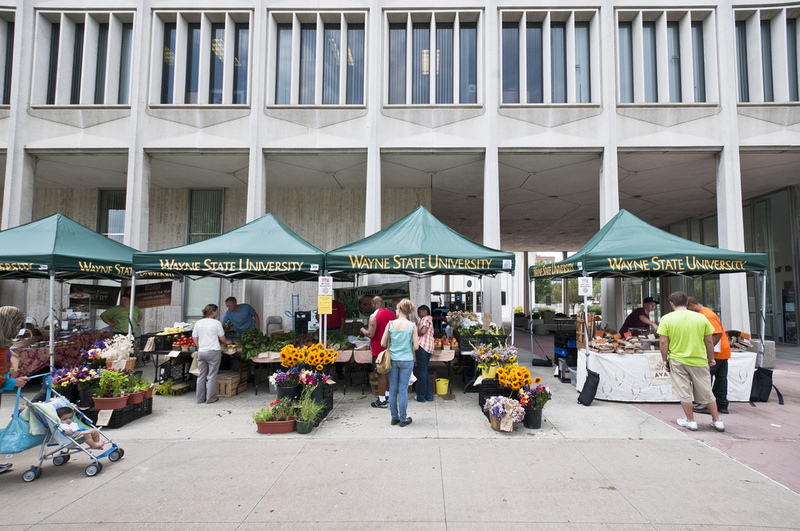 Most Detroiters are keenly aware of the Saturday public market in the newly renovated turn-of-the-century market sheds, where as many as 40,000 people come downtown to shop for fresh local produce every week, and many have been doing it for decades. 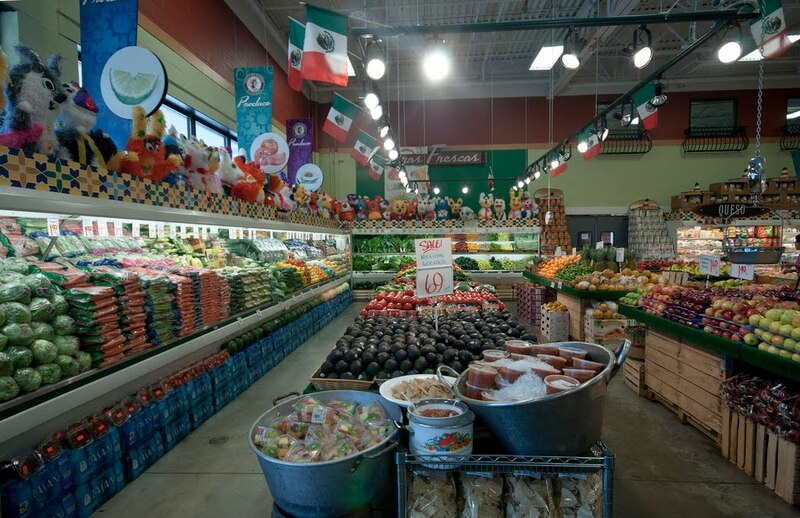 “If all these reporters are right when they say Detroiters have to travel to the suburbs to buy fresh produce, why do 15,000 or more suburbanites drive down here every weekend to buy fresh produce?” asks Mr. Carmody. 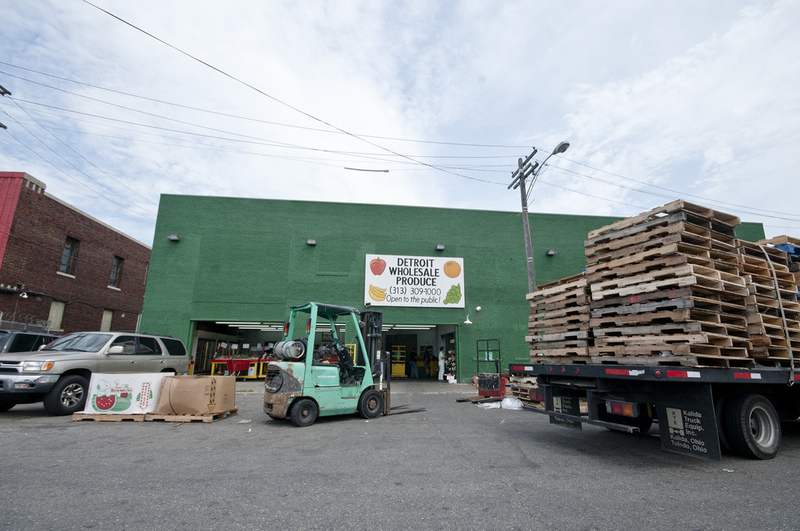 The Eastern Market Corporation has worked hard to make the produce sold by its vendors accessible to all Detroiters. Saturday vendors accept tokens created through a program in effect since 2007 where shoppers can use their Bridge card to buy fresh produce. It has created the innovative “Double Up Food Bucks” program that “provides families receiving food assistance benefits with the means to purchase more fresh fruits and vegetables at farmers’ markets.” And the “Michigan Mo’ Bucks” program aims to stretch the amount of money families receiving assistance get when that money is spent on fresh produce. Eastern Market is not just for the overpriced localvore yuppie/foodie crowd, but it succeeds in serving the needs of all Detroiters. And nowhere is this region’s diversity on better display than a Saturday morning at Eastern Market, when tens of thousands of people from all backgrounds converge to buy fresh and affordable local produce. James Griffioen writes a blog called Sweet Juniper. It’s not about Detroit specifically, just his ordinary life raising a family in that city. 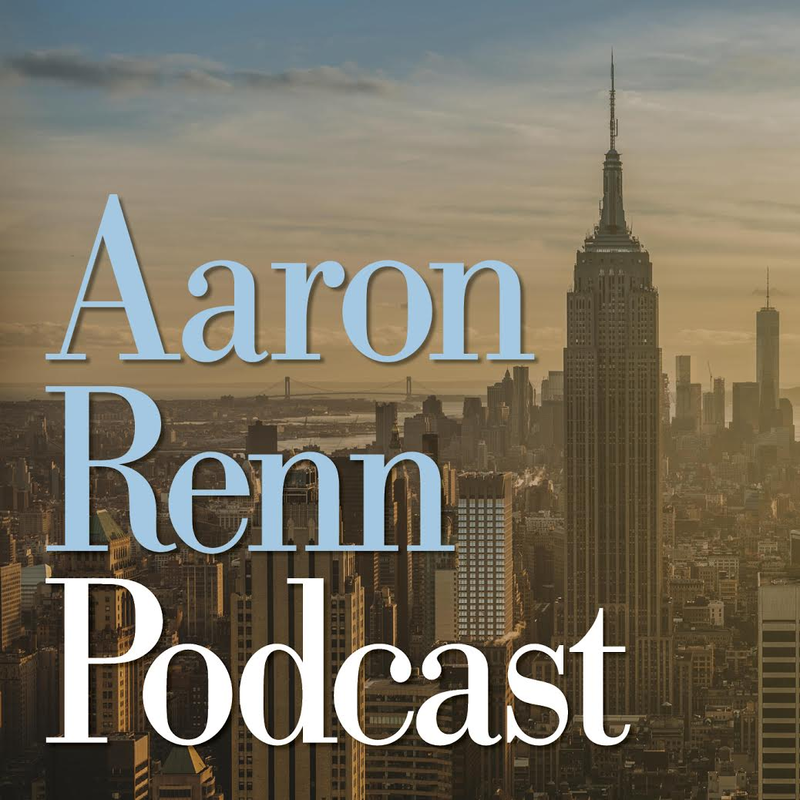 In 2006, he walked away from a career as a corporate lawyer and is now a freelance writer and photographer who spends most of his time raising his two young children. His photos and writings have appeared in Harper’s, Vice, Time, Dwell, O Magazine, Fortune, New York, Foam, The Baffler, Muse, Landscape Architecture and many other publications. Also, the map you have of the grocery stores. 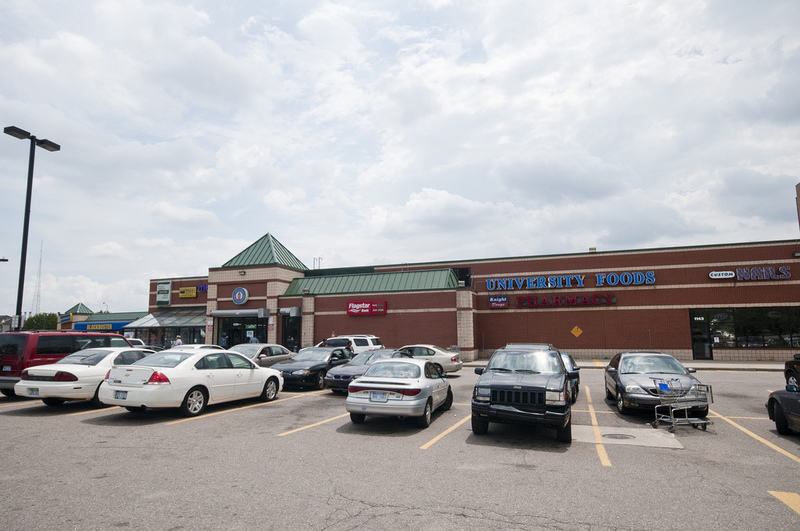 Its area is about 100 square miles you are showing stores from Livonia to Windsor, Ontario as far south as Garden City and as far North as Warren. NONE of these towns are within the city limits of Detroit, and have many more economic advantages. My own research found that a family in Livonia is around 5 people who have a median income of nearly 100k, versus Detroit’s over 6 people with a household median income of 35k. An appalling difference to be sure, and the graphic is misleading. I kind of did get the impression from the article that the food situation in Detroit is very good, even better than elsewhere. There’s not a single mention of the protein shortages in parts of the city. Mind you, this isn’t necessarily a bad thing. An article busting stereotypes of black America or of Appalachia need not say what everyone already knows about poverty in those two communities, unless it’s directly relevant to the story. On the third hand, sometimes the poverty is relevant to the story – for example, it’s relevant to the black middle class. (I’m relying on The Failure of Integration, by Shirley Cashin, as a source). This article doesn’t tell me whether it’s relevant to Detroit. For example, do Detroit’s middle class neighborhoods feel threatened by its underclass? How much does Detroit’s poor reputation cause divestment in its nicer areas? I don’t get the point of your comment, if it is intended as a response to the story. 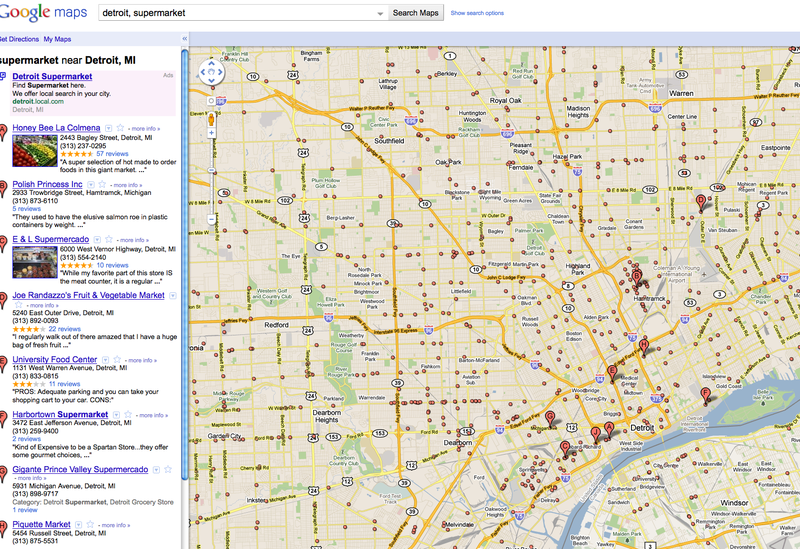 It’s true that the screen shot of the map is larger the Detroit itself, but anyone can see that even within Detroit proper, there are scores of grocery stores. And I agree that the average Livonia household is wealthier than the average Detroit household, but that fact does not undermine the point of the article: that the absence of grocery stores in Detroit is a myth (and a pernicious one, at that). 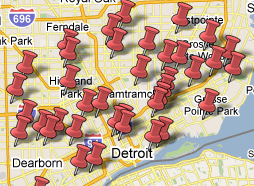 Yes–Detroit is an economically depressed city. But people who live there, or choose to move there, will be able to find fresh meat and produce in plenty of locations throughout the city, despite a widespread belief to the contrary. That was the point of the story. Do you disagree? If so, why? A great response to this post and others on this topic using spatial analysis software! Amazing article. 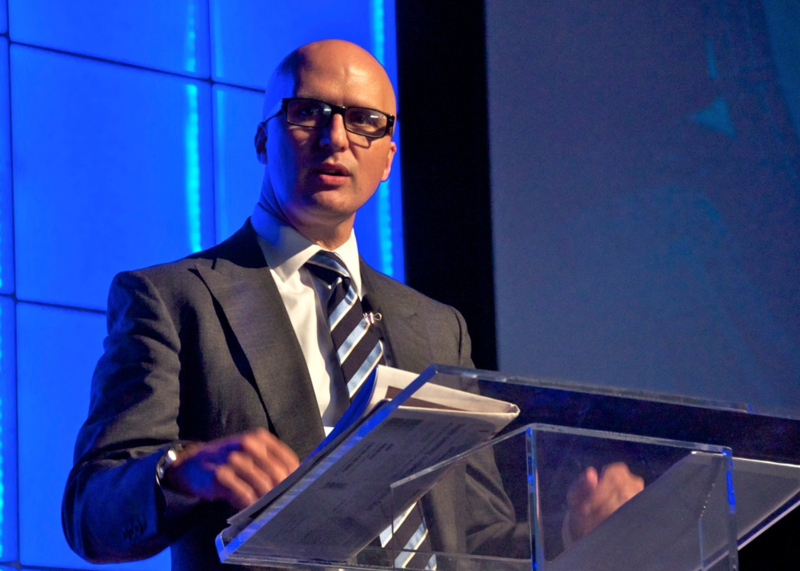 Well done Mr. Griffioen. 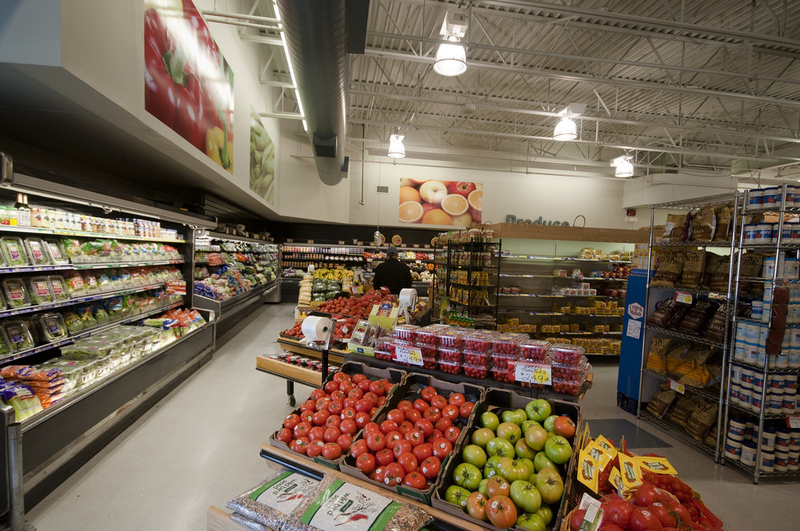 There are an excellent Mom & Pop full grocery store on West McNichols in northwest Detroit. Only store with fresh meat and a real butcher that will slice the meat plus they have excellent turkey chops which are better than pork chops!!! 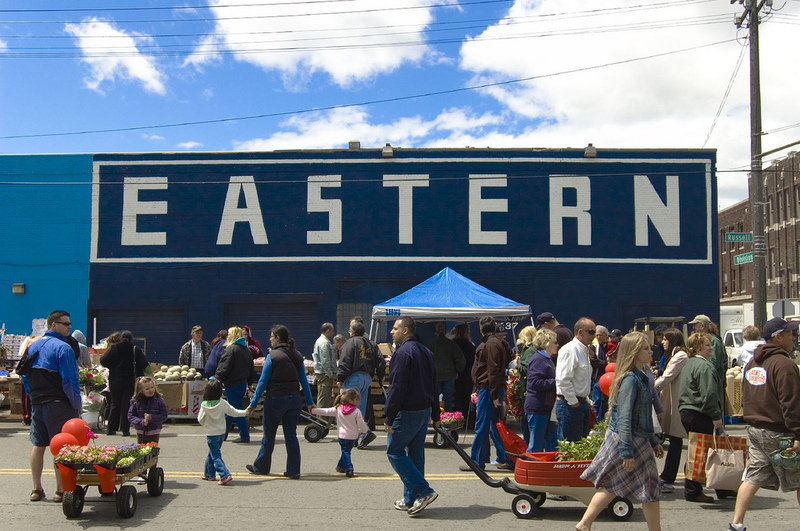 Here is a good feature on Eastern Market. And here is Yusef Lateef’s Eastern Market. i believe this type of attitude is needed in a conversation about food in detroit. it is true that detroit has many amazing things to offer in terms of food shopping and restaurant eating. eastern market, jr. hirt, honeybee, all of the restaurants “guest” mentioned. 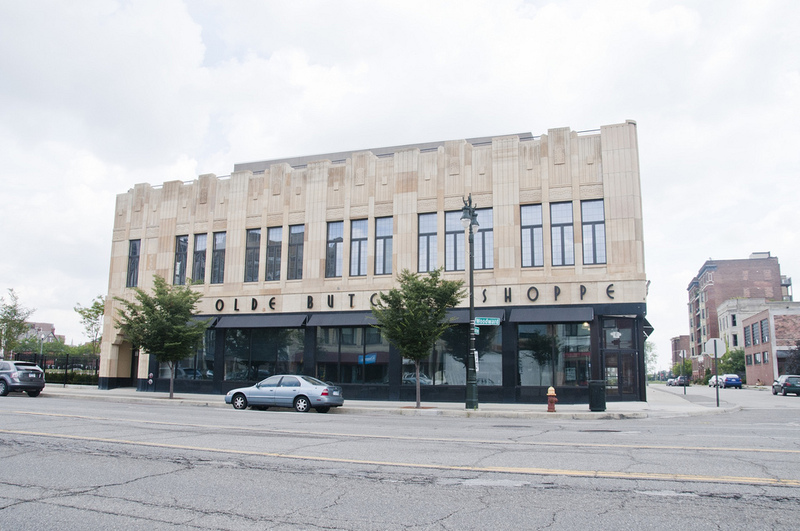 each of those places is amazing, and they’re all places my gluten intolerant husband and i (middle class professionals with a car and “snobby” food tastes) shop and eat in detroit. these places are awesome, they’re as good (or better) than places in other cities or the burbs, and they are not lifted up enough in the media or by bloggers. i applaud your effort to do this, to make this side of the coin more visible. there is, of course, another side to the story. the people who vocalize their discontent with the food situation in detroit (often loudly) do actually have a point. it’s not just privileged white hipsters who are trying to impose their views on poor people who have a problem with food distribution and acess in detroit. the mothers who bring their children to programs at my church and feel weary after trying to put together meals from the party store have a fair complaint. they are not in the market for an olive bar and organic frisee, but some chicken thighs and orange juice would be great, and the closest place to get those things is two bus rides and an hour and half away. Finally, I think it’s a bit unfair and misleading to use the google map with all of the dots on it that mark supermarkets as evidence that people do not have to get in their cars and drive to the suburbs to get fresh produce. that map has dots in it that go from royal oak to eastpointe, to inkster to windsor (!) 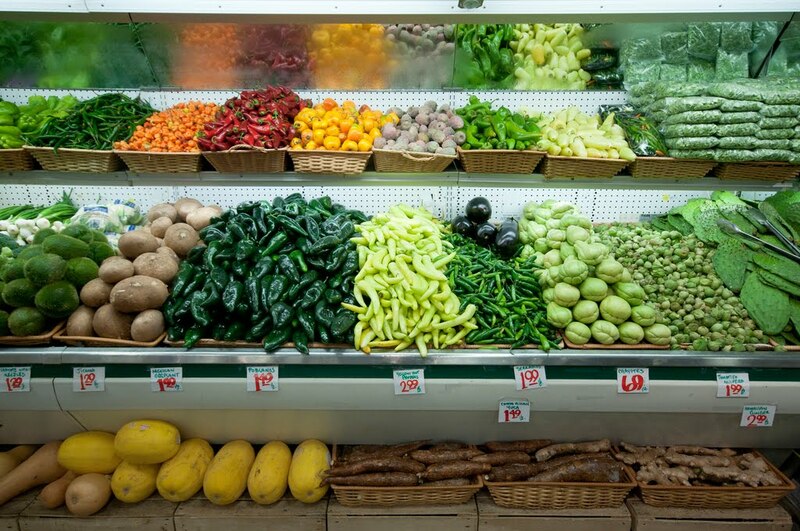 a far more honest map would have been one that showed all of the places to get fresh produce, in the city of Detroit, as that seems to be the thesis of that article… thoughts? 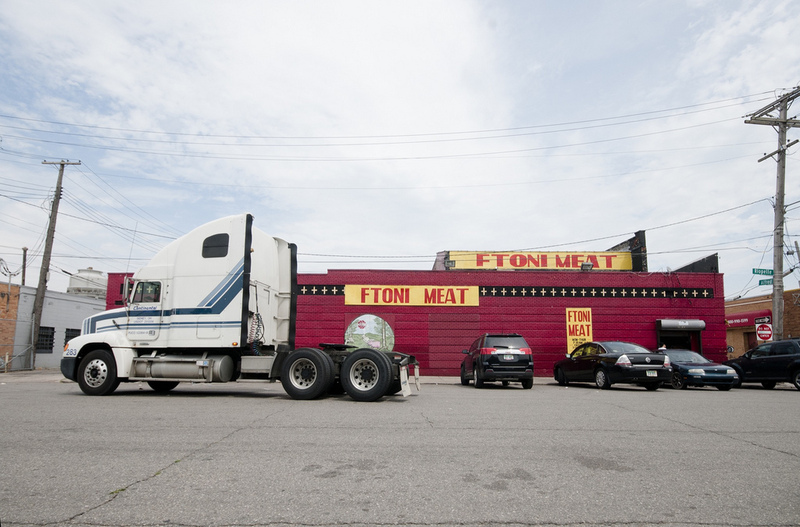 to add to Juanita’s point about butchers in the city, Gratiot Central Market, which is part of Eastern Market but on the south side of I-75 next to Busy Bee Hardware on Gratiot is filled with wat seems like dozens of butchers and fishmongers. Loved the article. The mainstream media can spin almost anything negative if they so choose. 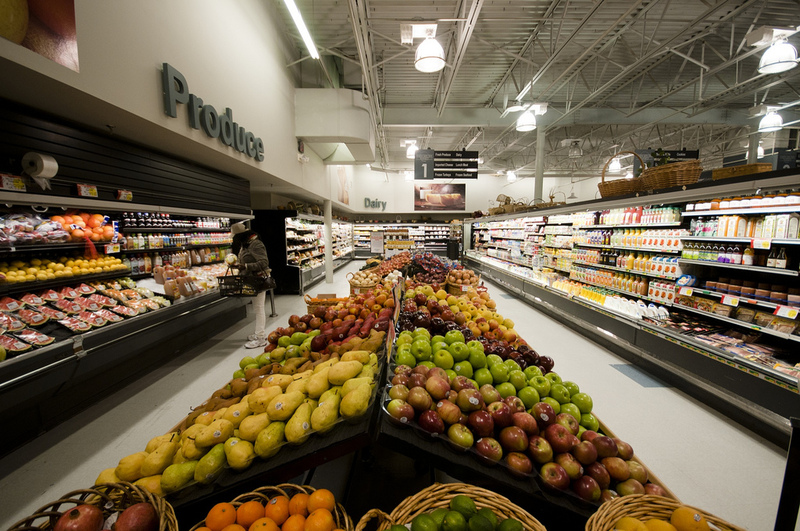 Detroit as a lot of options for groceries and they are all far better off than the big box stores. Excellent article. I keep learning more and more about the true food situation within the city. This is a very exciting time in Detroit. Please check out our project – we’re hoping to join the ‘dont just survive- thrive’ movements within Detroits food offerings.